A French Chateau owner has been pronounced decidedly alive after media reports over the weekend said that he had died. 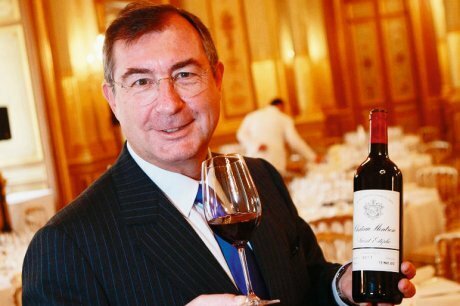 Martin Bouygues, owner of Chateau Montrose, businessman and media mogul, was thought to have passed away after Agence France Presse (AFP) made the announcement on Saturday. Apparently acting on a tip-off, a journalist from the agency had rung Michel Julien, mayor of Saint-Denis-sur-Sarthon, to ask whether “Monsieur Martin” had died. When the mayor replied that he had the agency issued the bulletin – without realising that it was another “Monsieur Martin” who had died. Reuters spoke to broadcaster TF1, which is owned by Bouygues, and were told that the owner was still alive. “He is absolutely not dead,” TF1’s head of communications said. Perhaps AFP could be forgiven for the mistake. After all, once the announcement had been made even TF1 briefly had the report on its website. A leaked internal memo to staff at AFP admitted that “the inaccurate information does us considerable harm in terms of our credibility and image”. AFP are investigating how the report came to be issued and have apologised to Bouygues and his family.